After serving in the United States Air Force, I moved to Austin and have lived in the greater Austin area for over 20yrs. Austin is a place full of opportunity and the potential for motivated, confident individuals is bountiful! I want to offer you an open-minded, supportive space to talk about your wellness goals from all aspects. 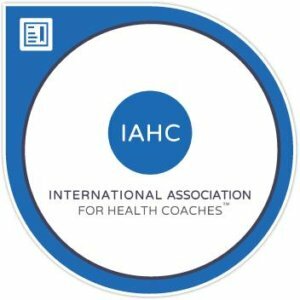 My education and experience has taught me some of the leading theories out there today concerning diet and I have studied some very effective coaching techniques. Do not let weight issues, emotional issues, or whatever the case may be, hold you back! I do not believe in a one size fits all technique. Nor do I believe in pushing or forcing things onto my clients. Instead, I like to work with my clients starting where they are. We are all bio-individuals, the way our bodies respond to what we eat, think, and feel are unique to only us. Incorporating small changes will in time add up to big changes. One good habit creates another. Good habits create a great lifestyle, a lifestyle that you will create one step at a time. A lifestyle that you love! I received my training from the Institute for Integrative Nutrition*, where I studied a variety of dietary theories and practical lifestyle coaching methods. With my knowledge, we co-create completely personalized actions based on your goals to move you toward your ideal vision of health within your unique body, lifestyle, preferences, and resources. 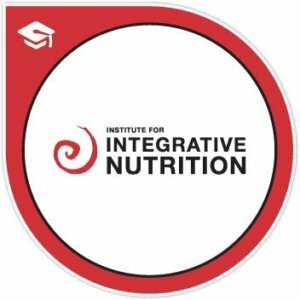 I graduated from the Institute for Integrative Nutrition* where I studied a variety of dietary theories and practical lifestyle coaching methods. I received my BioEnergetX WellNES System foundation and master class training from NES Health, where I studied how energy and information effect biology and how to use the BioEnergetX WellNES System to help the body achieve its ideal state. Upon completion of this training I became a Certified NES Health Practitioner.